From one of America's most accomplished artists and a pioneer of figurative realism, this unprecedented collection celebrates a body of work spanning six prolific decades. A brilliant collaboration between the artist and art critic Maureen Bloomfield, this impressive monograph features more than 200 of Daniel E. Greene's best oil paintings and pastelsfrom the underworlds of pool halls, carnivals, and New York subways to classically posed nudes and the elite culture of auction houses. 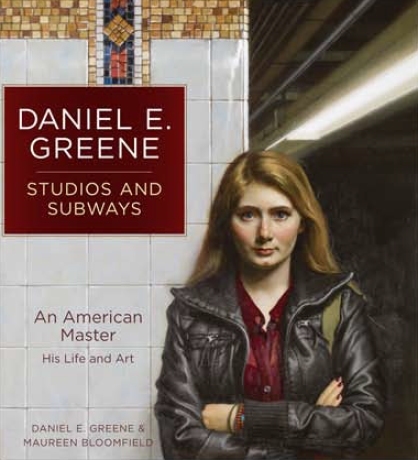 Also included are his still lifes, self-portraits, and commissioned portraits of such illustrious subjects as Eleanor Roosevelt, Ayn Rand, and Astronaut Walter Schirra Jr.
Daniel E. Greene: Studios and Subways is the definitive study of this legendary artist, full of insight and inspiration for artists and art-lovers alike.